Jonathan Copulsky is an innovative marketing leader, growth strategist, and thought leader with over 35 years of experience working at the intersection of brand, marketing strategy, content marketing, and marketing technology. As a CMO, consultant, and board member, Jonathan brings the ability to anticipate customer needs, reposition brands, architect fresh “go-market-solutions,” creatively apply new technologies, streamline customer-facing operations, build strong teams, and engage diverse stakeholders to deliver measurable and impactful results. Jonathan has accumulated significant strategic, operational, and leadership experience through a series of corporate and professional services roles. He has also gained experience in governance, having been a senior executive with a NYSE corporation and a board member for not-for-profits. Jonathan currently serves on the board of Chicago Public Media, where he has been a member of the executive committee, chair of the finance and governance committees, and a member of the audit committee. His board oversight work spans CEO succession, enterprise strategy development, acquisition due diligence, and succession planning. Jonathan recently retired from Deloitte, where his roles included senior client services principal, Chief Marketing Officer, Chief Brand Officer, and Chief Content Officer. Prior to joining Deloitte, Jonathan served as Chief Marketing and Sales Officer for CCH Incorporated, a NYSE professional publisher and software provider. Thought leadership has been a constant throughout Jonathan’s career, with more than 35 bylined articles and interviews with leading business journals, such as The Wall Street Journal, Fortune, and Business Week. 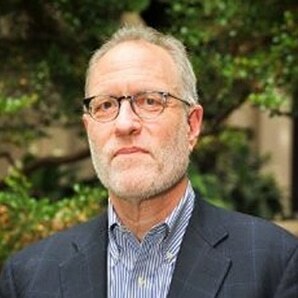 His critically acclaimed book, Brand Resilience, a brand risk management primer, was published in 2011 and a new book (2019) that he co-authored, The Technology Fallacy: How People Are the Real Key to Digital Transformation, focuses on digital maturity based on a multi-year research collaboration with MIT Sloan Management Review. Jonathan is a member of the advisory boards of Applied Marketing Analytics and the Northwestern Spiegel Research Center on Integrated Marketing Communications and teaches marketing at Northwestern University.